Fashion Week with a cause behind it. Jenny Söderman gives us a peek at the must-see street style and scene at the just-wrapped Copenhagen Fashion Week. Runway highlights from all the season's top shows. Copenhagen Fashion Week is hosting a clothing swap. A stellar showing at the just-wrapped shows as we recap the best of Copenhagen. Jenny Söderman of backinmyday.dk gives us an intimate look at the must-see street style and backstage scene of the just-wrapped Copenhagen Fashion Week Fall 2013. Even an economic crisis couldn't put a damper on fashion week. Find out who the week's big players were, which brands brought home the bacon, and who were the true geniuses. An intimate look at the must-see street style and backstage scene of the just-wrapped Copenhagen Fashion Week Spring/Summer 2013. 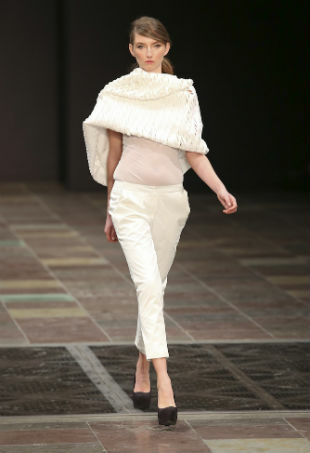 Five days focused on Nordic fashion and a slew of up-and-comers.